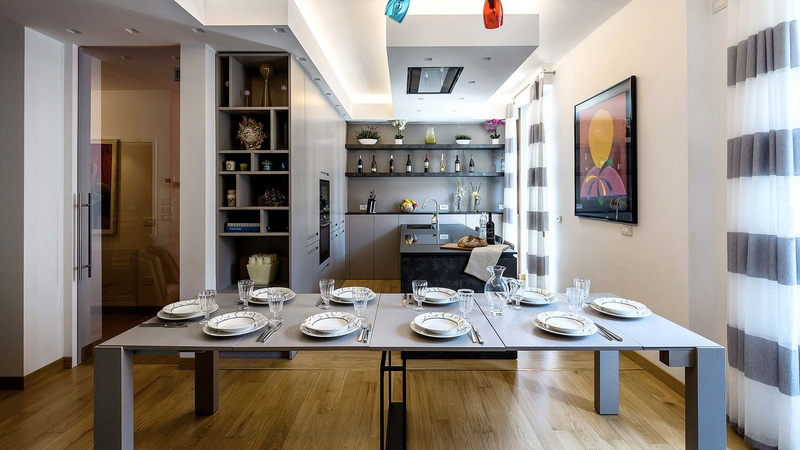 In this open space, TM Italia created the living room and the kitchen with a peninsula. 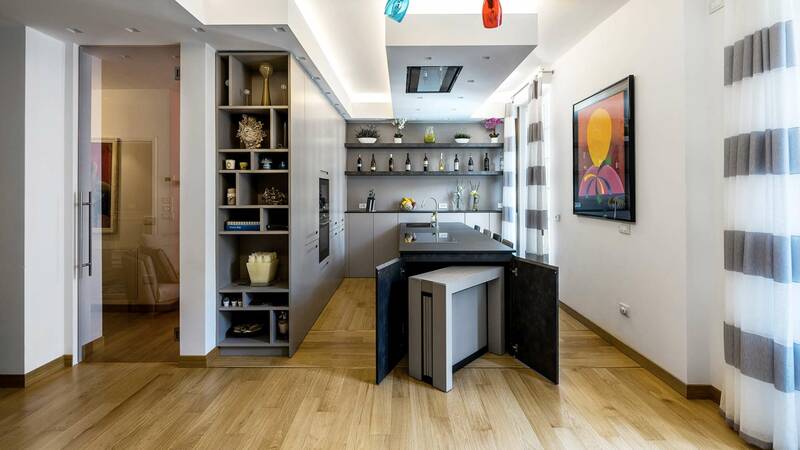 The kitchen features D90 concept pantry columns and a T45 concept peninsula. 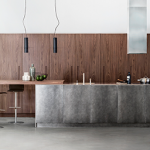 The pantry columns have a grey lacquered finish, the bases of the peninsula feature a Caesar Brown stone laminate finish, and the workbench is made of Blend Nero Gres. The stove top and sink have been built into it. A modular table can be extracted from the side of the peninsula, seating up to 15 diners. 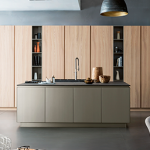 Siemens appliances have been supplied. 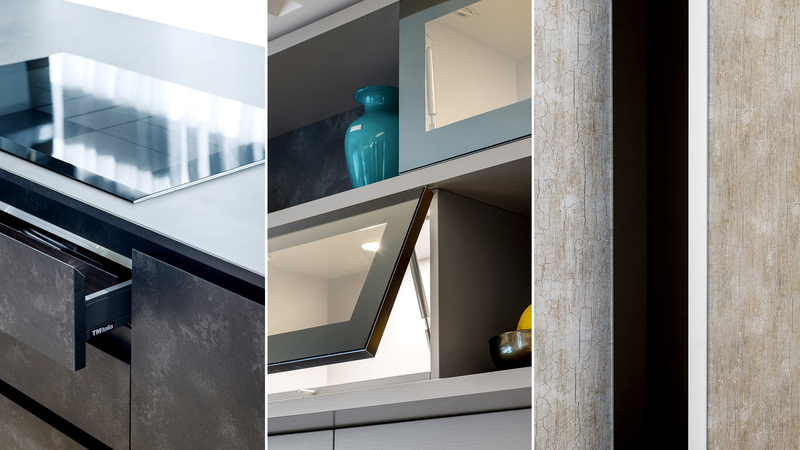 The living room furniture, based on the D90 concept, consists of a linear unit set into the wall and made of grey lacquered. 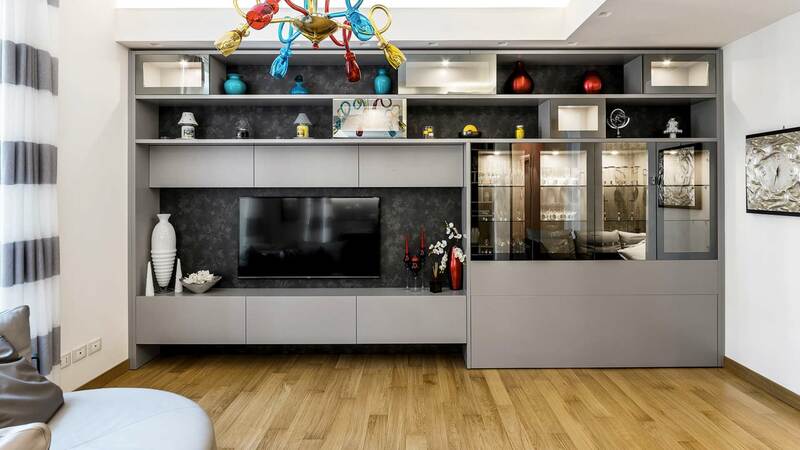 It features LED-backlit china cabinets. 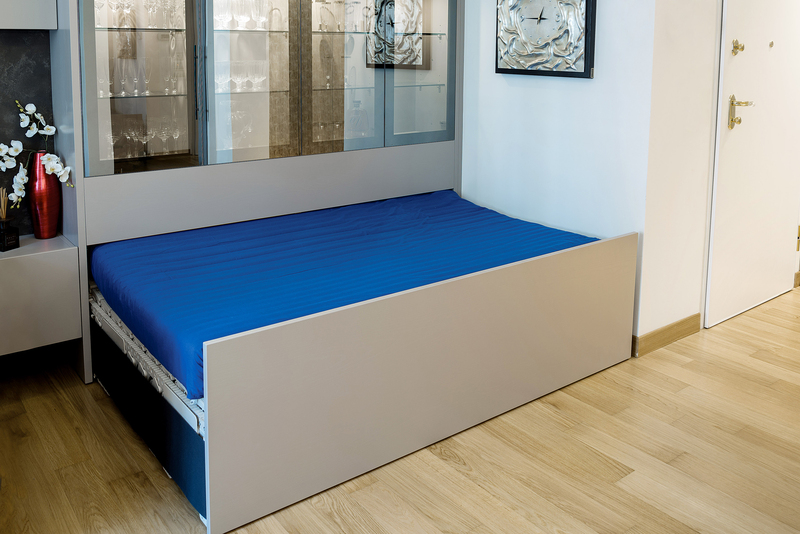 A bed can be extracted from the furniture using an electro-assisted control. 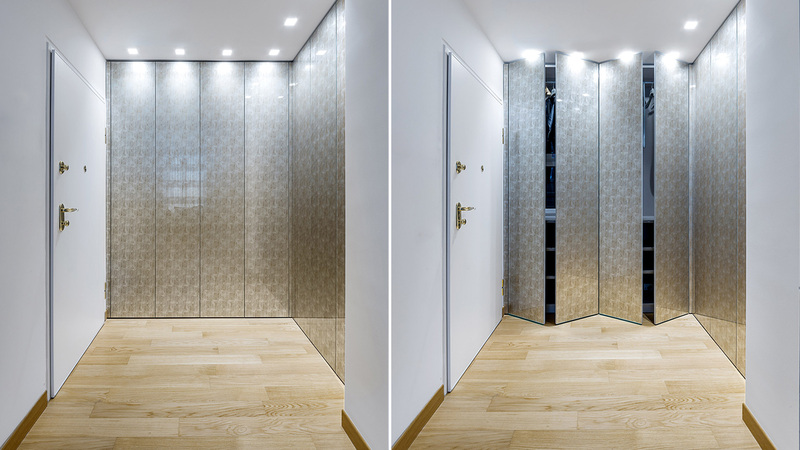 At the entrance to the apartment there is a full-height cabinet made of Capodimonte Silver silk-screen back-printed glass. 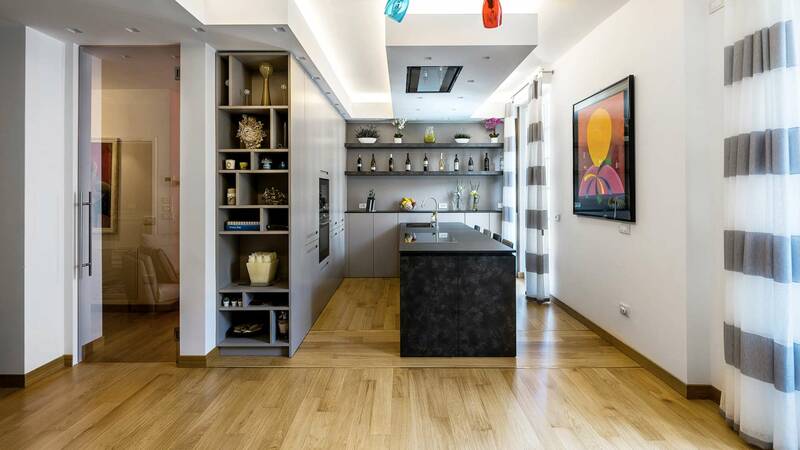 TM Italia also supplied the glass door separating the living and sleeping areas.